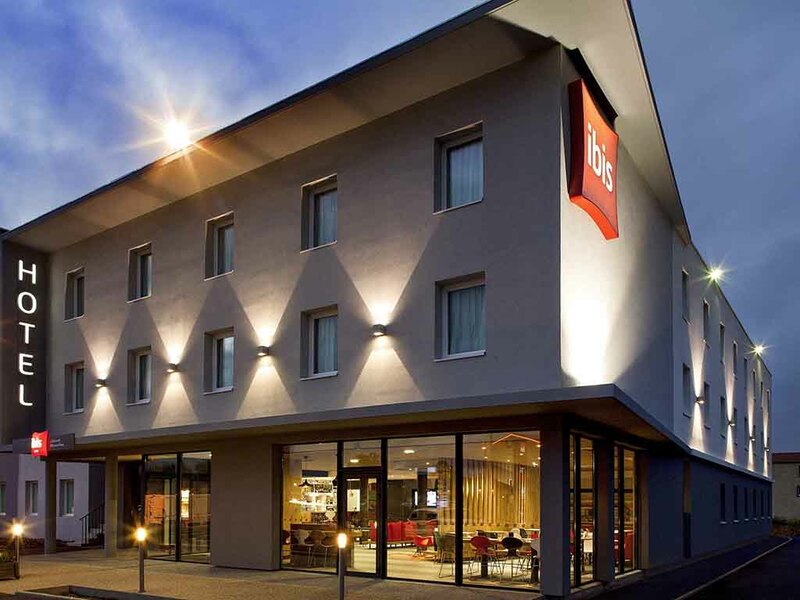 At the gateway to the Auvergne volcanoes nature park, the 3-star ibis Clermont Ferrand Nord Riom hotel welcomes you for your business or leisure trips. Located at exit 13 of the A71, at the intersection of the A89, A71 and A75 highways and 15 minutes from Clermont-Ferrand and the airport. Traveling for business? Many companies are located nearby, in addition to the Polydome, the Grande Halle and the Zénith d'Auvergne. Fancy a spot of relaxation? Puy de Dôme, Volvic, Vulcania and L'Aventure Michelin await! 219 yards (200 m) from the A71 and A89 highway toll, exit no.13 (Riom/Volvic).